Asked his opinion on the Giants’ draft, Eli was Eli. The New York Giants new head coach, Pat Shurmur, and new general manager, Dave Gettleman, have both reaffirmed that Eli Manning would be the team’s starting quarterback in 2018. However, the team also holds a rare second overall pick in a draft that boasts a highly-anticipated quarterback class. With that in mind, their support of Manning doesn’t really do much to shed light on potential draft plans. Manning was asked his thoughts on the upcoming draft at an appearance for Courtyard by Marriott. “The Giants, they have to draft, whether it’s for the future or for now, they have to figure out how to put the best players on the field,” Manning said. Which, of course, is true. Football is a business first, and that business is driven by winning football games. The team has to do what is best for themselves, and that means gathering as much talent as they can, balancing the desire to set themselves up for the future with the need to win now. Whether that is accomplished by drafting a quarterback or a skill position player is up to the head coach and general manager to decide. 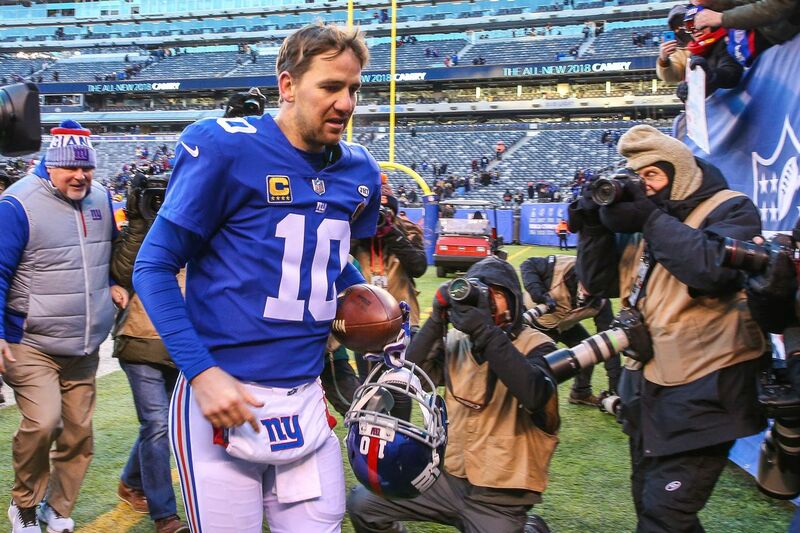 Ultimately, Eli has no control over what the team does. He can only control his play on the field.